IMPROVE PERFORMANCE TO ACHIEVE PERSONAL EXCELLENCE! 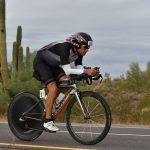 7 Most Common Mistakes Triathletes Make and How to Stop Doing Them. Michael Collins is the head coach of the 300+ member Nova Masters Swimming Program in Irvine CA. He served as a swimming subject matter expert for IRONMAN U. He co-founded the EQX H2O Signature Swimming Program for EQUINOX. He has over 30 years experience as a coach and elite level athlete. He coaches athletes of all ages and ability levels to reach their “Personal Excellence”.